Director of National Intelligence Dan Coats has issued a new document that provides a strategic direction for 17 agencies within the intelligence community in the next four years. The 2019 National Intelligence Strategy seeks to advance innovation, integration, partnerships and transparency within the IC in response to threats posed by adversaries, ODNI said Tuesday. “As a community, we must become more agile, build and leverage partnerships, and apply the most advanced technologies in pursuit of unmatched insights. 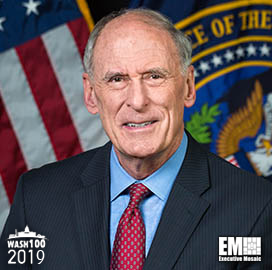 The 2019 NIS provides a roadmap to achieve this end,” said Coats, a 2019 Wash100 winner. The strategy has seven mission objectives and those are cyber threat intelligence; strategic intelligence; counterintelligence and security; counterproliferation; current operations intelligence; anticipatory intelligence; counterterrorism; and strategic intelligence. 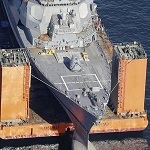 Integrated mission management; people; integrated business management; innovation; partnerships; privacy, civil liberties and transparency; and information sharing and safeguarding are the seven enterprise objectives of the strategy. The document also establishes seven principles of professional ethics for the IC and those are mission; lawfulness; truth; excellence; diversity; integrity; and stewardship.